Welcome to our Best Golf Wedges 2019 review! In this comprehensive guide we have sifted through the absolute best golf wedges currently available on the market. The guide separates wedges by category and features to help you find the best golf wedges for your game. We have tried to keep our selection pretty broad in terms of handicap suitability, but admittedly, most of the wedges featured below are for low single figure to mid-teen handicaps. If you are just beginning golf or are a high handicapper we recommend you check out our review of the Best Golf Clubs for Beginners. Let’s jump into our Best Golf Wedges review and find out which is best for you and why! Use the quicklinks to navigate our Best Golf Wedges Review. With the SM6 Wedges, Bob Vokey has created something really special. On every metric we tested – feel, distance control, spin and versatility – the SM6 range just shone! Key features that we really liked in the Vokey SM6 are the TX4 grooves which impart tremendous spin on the ball and the lower center of gravity for better control. The Vokey SM6 is our Editors Choice in wedges. You are going to struggle to find any con about this particular wedge, but if we had to be nit-picky it would be the price, being slightly on the expensive side! Cleveland have delivered a top-quality wedge once again with performance and feel second to none. We all like to see a bit of bite on our wedge shots so you’ll be glad to hear that the RTX-3 spins like mad! The rough, milled face delivers crazy spin out of almost any lie and the new, circular milling results in consistent back spin, even on open face shots. 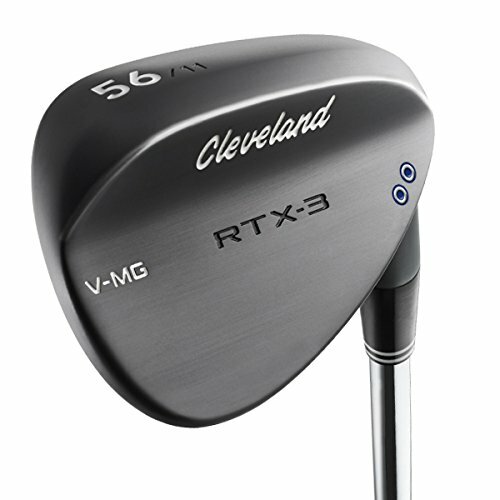 The RTX-3 is versatile, durable and generates huge spin, making it the perfect wedge for any single-digit player. 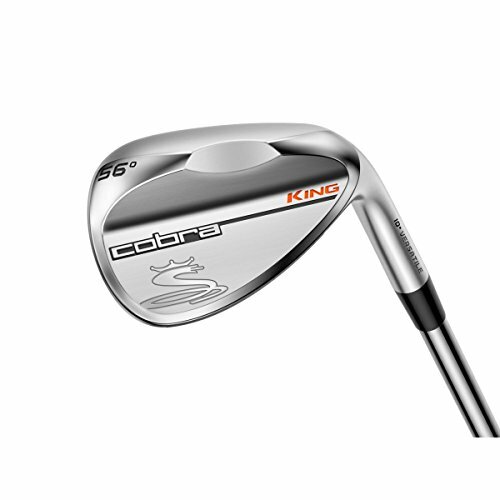 In one word, the Cobra King Wedge is “Buttery” soft! A consistent ball flight and trajectory right through the wedges provides ample confidence and this is certainly a great value for money purchase. There are six loft options, three different sole grinds, and one chrome plated 8620 carbon steel finish. It’s a pity there aren’t a couple of other options like some other manufacturers, but that doesn’t take anything away from how good the King wedge is. Thumbs up. The feel is absolutely superb. Buttery is the term given to it by Cobra and they aren’t just trying to use that as a sales technique. It is fantastic. Do your homework on your own game before picking the right sole grind. If in doubt stick with the Classic! 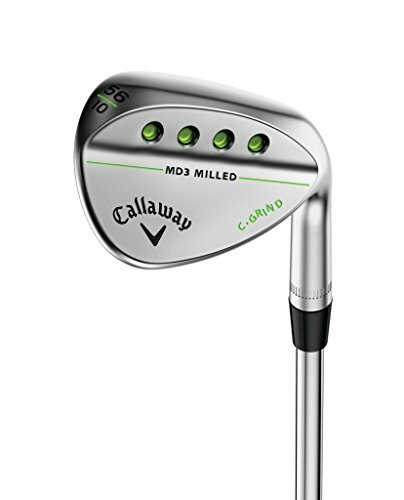 The Callaway MD3 Milled range is offered in three different sole designs: Firstly the C-grind which is suited to firm conditions.. The S-grind is the standard option and suits all conditions adequately. And lastly the W-grind is particularly for soft conditions or those golfers that have a steep downswing. The varying groove pattern options are a plus and in turn results in higher spin with the higher lofted wedges. The longer or less lofted the wedges the more control you’ll have coming into the green. The MD3 is just fantastic and we’ll be reviewing the Mack Daddy 4 in due course, which we are sure is just that much better. If you are a low to low-mid handicapper and are looking to improve your game around the greens in particular then put these wedges in your bag. Just make sure before purchasing that you know which lie and lofts you are suited to and then get involved. 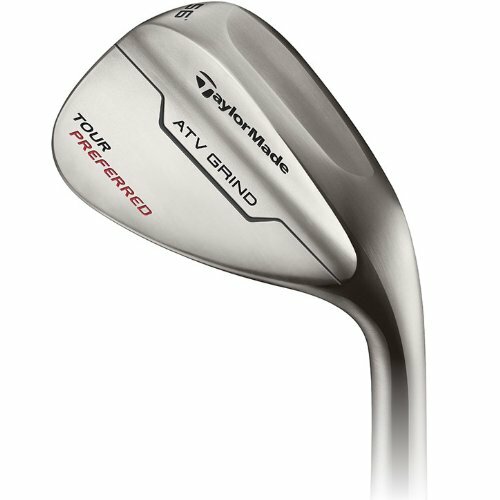 The computer milling process enables each wedge to be specifically tailored to the three separate specifications of bounce. Whilst the wedges don’t spin a huge amount, they still provide plenty of consistency inside of 100 yards. A consistent trajectory also aids in having a narrower margin of error in terms of both distance and dispersion. Judging on quality alone, the Milled Grind are superb and offer plenty of positives. To read the full review click here. 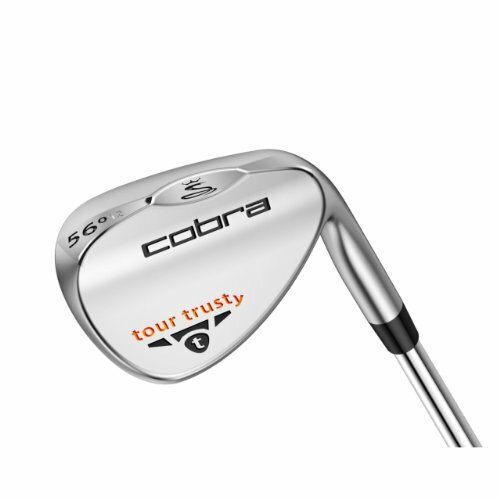 It is clear that Cobra have designed this wedge with the better player in mind. A straighter leading edge and a thin top line gives the feel of precision and workability. The slight dent in the center of the sole really allows the club get ‘under’ the ball better both at address and impact and gives a psychological confidence to help most players…especially out of the bunkers! Great price for a quality piece and definitely best priced wedge in our books. To read the full review click here. Cleveland arguably make the best wedges in the game. Roger Cleveland himself has been head hunted by all sorts of other manufacturers to assist in their designs. 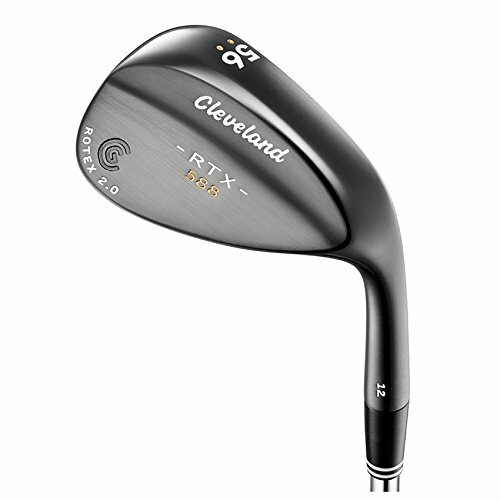 Many of the world’s best players opt for Cleveland if their contracts allow and the 588 RTX is superb. Workability, versatility, spin and beautiful trajectory on all shots make it a rock solid value for money option. To read the full review click here. Only downside is that the grooves really chew your golf ball so could become costly having to use several balls a round! 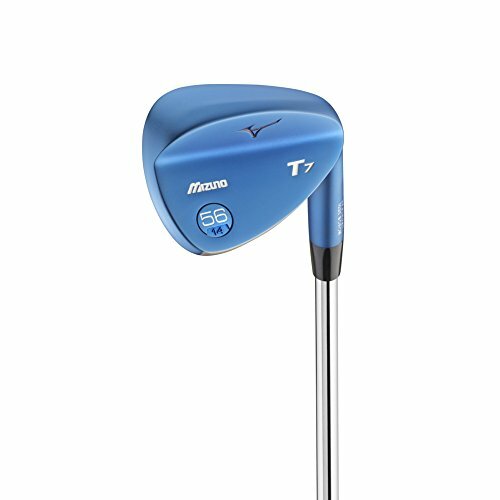 Mizuno have stepped up their game tremendously with the new T7 Wedge. The boron infused carbon steel offering is available in two finishes being either Blue IP or White Satin – both beautiful. Mizuno have a new milling tool that has made the edges sharper in the Quad-Cut grooves and along with the metal composition allow for longevity in groove performance. Mizuno wedges have never seemed to have the ideal launch angle and spin, but that’s all changed in the T7 – low off the clubface on full shots and plenty of action upon landing. To read the full review click here. Taylormade are a banker in terms of being a consistently good value for money proposition and the Tour Preferred wedges are no different. The wedges are available in the solitary Tour Satin, which may be a negative to some but they are beautiful. When looking down at the thin top line at address, the traditional head shape help ooze confidence, particularly for the lower handicap player. The Tour Preferred wedge is slightly heavy however the micro texture face and heavy textured surface between the grooves do produce tremendous spin. 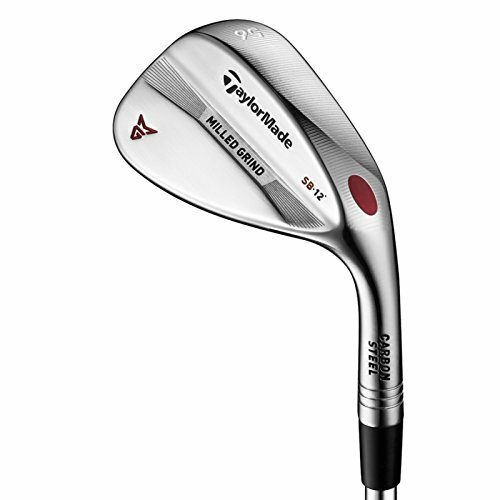 There is only one sole grind too, but with a variety of lofts ranging anywhere between 50-60 degrees, Taylormade are more than satisifed that their design meets the preferences better players search for in a wedge. Taylormade have had a huge market share for a number of years now and with this kind of product this is pure evidence as to the reason why. A clean, beautiful look along with a high performance and versatile edge. To read the full review click here. The micro-textured clubface produces phenomenal spin and control which all golfers love – let’s be honest! 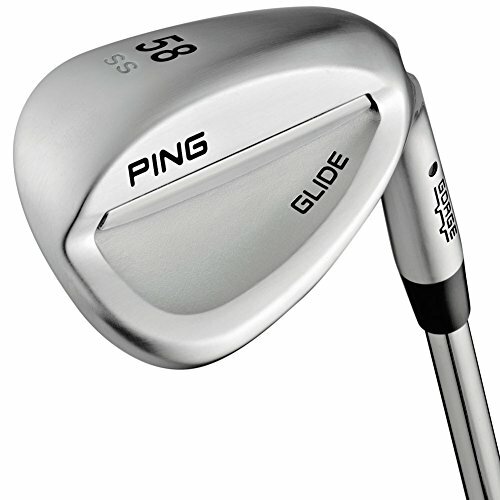 Ping have brought in minor changes to the original Glide by focusing on two things in particular. Firstly the groove edges have been sharpened and one additional groove has been added to the lower lofted wedges in order to increase friction and improve launch angle, ball flight and maximize spin. The second factor is Ping have given you four different sole grinds with each matching separate angles of attack and divot characteristics in order to make your wedge game as easy as possible. The Glide 2.0 looks and feels good and serves great value for money whether you are a low or mid handicap player. To read the full review click here. There are a number of manufacturers who have released and/or updated existing wedge models. 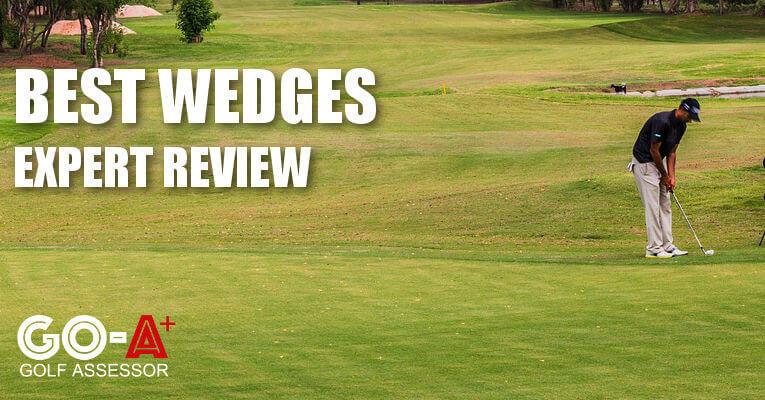 The challenging aspect we had was choosing a comprehensive set of wedges to review. We have tested a number of wedges over the last 6 months and given our selections as to Editor’s Choice, Best Value For Money, Best Seller and Best Price’d options. Below you can find a side-by-side comparison of our list of best golf wedges. Plenty of factors to assess in build quality. How soft is the metal used? How many loft options? What bounce options? Are there varied sole grinds available within the particular model? Have the clubface & grooves been milled? Build quality is exceptionally important and when it comes to a wedge – trust the sales numbers and brands that have stood the test of time hanging around the upper ranks. They know what they’re doing. Whether you like it or not, 95% of you will choose spin as the first thing you are after when selecting a wedge. But there are other factors to consider. Feel is exceptionally important being that these are the clubs you need to get cute with around the greens occasionally. Launch angle & Ball flight are what we look out for. Those trajectories that seem to come out low, but still stay in the air what feels like forever because of the spin & control. Versatility is another that plays a big part being able to use it just about anywhere and for any shot within 100 yards of the green. Each to their own on this one, but we’re in the camp of looks are important. You want to look down at a wedge behind your ball that builds or sparks confidence. Something that you can’t get enough of and can’t wait to take it out the bag. Something with as little detail as possible on the back, but yet still has enough pizzazz and sexiness to keep your eyes peeled. Wedges are generally not seen as powerful as drivers are. Or as important as putters are, but truth be told wedges are exceptionally important. Being confident with a wedge in your hands can get you up & down for pars or within range for regular birdies thus saving plenty strokes over time. If you’re a serious golfer then do yourself a favor and invest in a quality set of wedges that may cost a bit, but will be great value. If just a social golfer that enjoys the game we still suggest a quality wedge, perhaps something a bit more lenient on the budget that’s still going to help knock a few shots off the handicap. There are a couple of methods to use and the first is to obviously take a close look at the clubface of the wedge and pay attention to the lower grooves. If the grove edges are starting to look a bit worn your wedge is close to or already in need of replacing. Secondly, hit a few balls on the range and pay attention to the ball flight. If the ball flight is high-ish and falls out of the sky quickly then the grooves are worn. The ball should come out with a low to mid trajectory with the ball flight being penetrating yet hanging at the same time. Generally (depending on amount of times you play a year) wedges will last you between 12 – 18 months before needing to be replaced. What Does ‘Bounce’ Mean On A Wedge? The bounce on a wedge is the angle between the leading edge and the trailing edge of the sole of the club. Bounce has a primary role of reducing resistance to the sand when striking a ball out of a bunker, but also aids in other areas too. A low bounce wedge allows more versatility when around the greens and helps you get the ball up in the air quickly. High bounce wedges help in softer conditions and for players who have steep angles of attack. 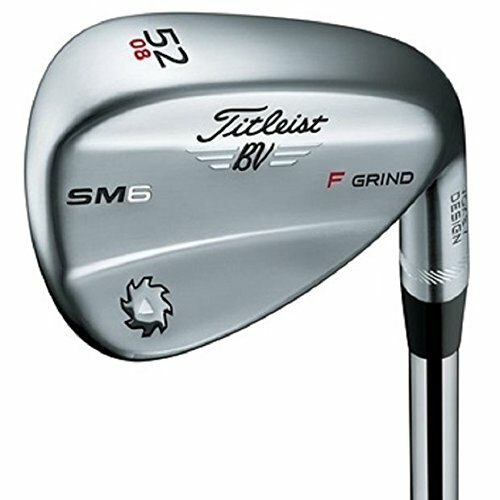 Which Wedges Have Which lofts? Over the years though manufacturers have provided several other lofts which fill the gaps in between the above wedges and allow for you to split your wedge lofts more evenly between a PW and LW. Ie. having a 48 degree wedge, a 54 degree wedge and lastly a 60 degree wedge. What Is The Highest Legal Loft On For A Wedge? Currently there are no legal limits, but very few players have anything more than a 60 degree wedge in their bags. Phil Mickelson used a 64 degree wedge for a while, but it is not recommended for the regular mid to high handicap amateur players. Sure – it will help you get the ball up quicker when in a difficult spot around the greens, but it will not help you from further than 50 yards away from the green and will almost be a waste of space in your bag. We put this article together to help players, like yourself, find a pair of golf wedges or wedge that suits their specific game, level and budget. By keeping this guide updated and via feedback from the GA community, we hope this article becomes a great resource for anyone looking to get a new wedge. Please let us know your thoughts in the comments below. Would have been interesting to have an indication of the weight of these clubs. Unlike drivers and irons there are never test wedges to try. As I have got older and weaker after a serious wrist operation I find some clubs just feel to heavy. I know swing weight is a factor but it’s not easy when you can rarely try before you buy. Hi Paul, that’s a great point. We will make sure to add weights soon. Thanks again for reading!